Pierre Sevin and his team look forward to welcoming you to the unique, stylish and modern setting of the ibis Styles Marseille Aéroport hotel. Join us for a warm and friendly stay... See you soon! This fully renovated, stylish hotel offers 117 soundproofed, air-conditioned, non-smoking rooms, as well as 4306 sq. ft. (400 m2) of meeting rooms for your seminars and business trips. 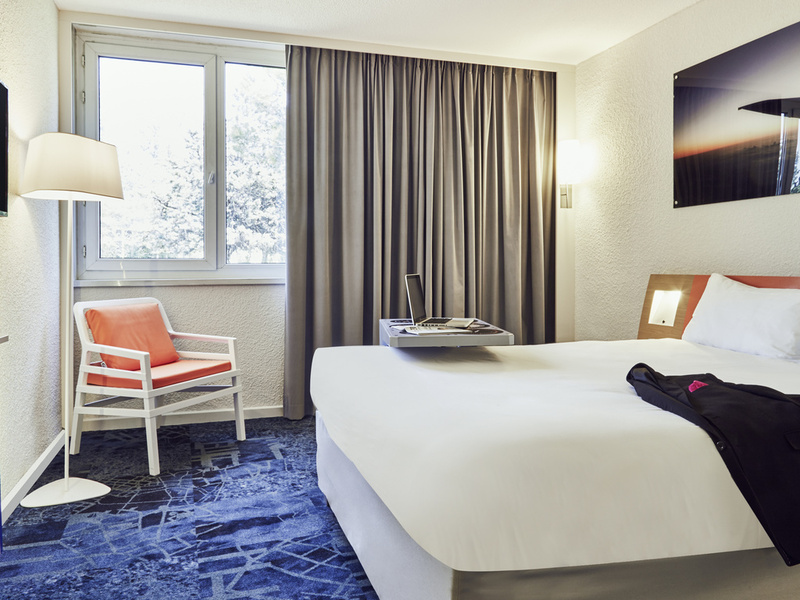 The ibis Styles Marseille Aéroport hotel is located in Vitrolles, 5 mi n from Marseille Provence Airport, 10 min from Aix en Provence TGV train station and 30 min from Marseilles. Shuttle for the airport and Airbus Helicopters from 5:30am to 11:30pm. The O'QUAI restaurant is open from midday to 2:30pm and 7pm to 10:30pm. 12 meeting rooms, providing 4306 sq. ft. (400 m2) of modular meeting space for 200 people. Our terrace opens April 16, 2018! Come and enjoy your morning coffee, a poolside lunch or a relaxing dinner for the perfect end to your day.